The best Soft Claws for cats’ reviews are not easy to find. To give you an idea of what this product is, here are some details. Kitty cat claws are not fun at all. You might find yourself thinking what would be the best way to ensure your cat will not cause any damage to your home and to your person. Keeping those claws sheathed could be a good solution. If you do not want to put your cat in pain but you do not want to live in a place with tattered and battered furniture, there is a practical solution. 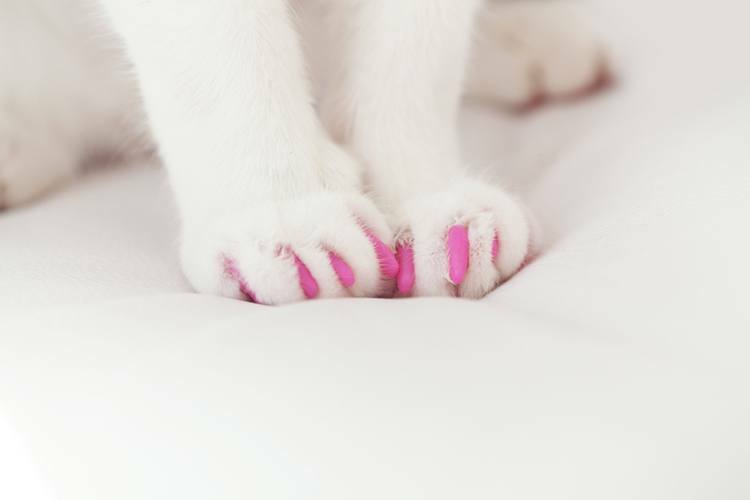 By using nail caps, you will have more reasons to keep kitty at home. Are your cats used to having their nails trimmed? If your answer is yes, then there is nothing to worry about. Once you have a cat that can deal with those regular trimming sessions, applying nail caps are bound to be easier. The process of using the nail caps is not too difficult too. Just like what you usually do, trim kitty’s nails. Take one of the nails caps and fill one-third with adhesive and sheath kitty’s claws with the cap. It would be better to put the nail cap one at a time. When you are doing this for the first time, try to go slowly. This way, you can minimize having an aggressive cat at hand. If this task is too hard for you, you can always as the vet to help you out with it. After applying the nail caps, find a way to keep your cat still. It usually takes about a minute for the adhesive to stick in. If you have a cat that is not used to trimming yet, you have a bigger problem. You can enlist your vet’s help for this one. They would be better at the task of handling cats anyway. 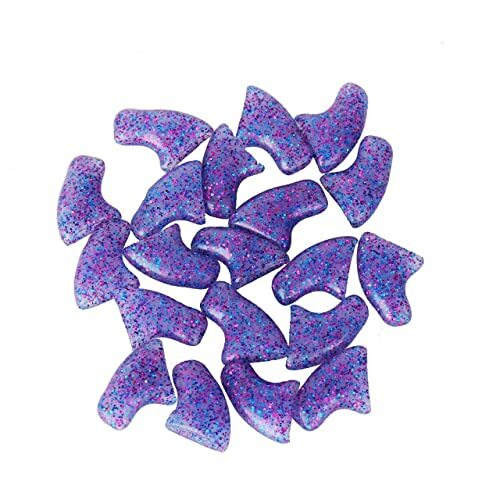 When your regular nail routine is not enough to keep your cat well-behaved, you should try using nail caps. This product is a non-surgical alternative to cat scratching and it is something you can use at home. Some vets would be willing to do the job for you although you have the option to apply the nail caps all by yourself. 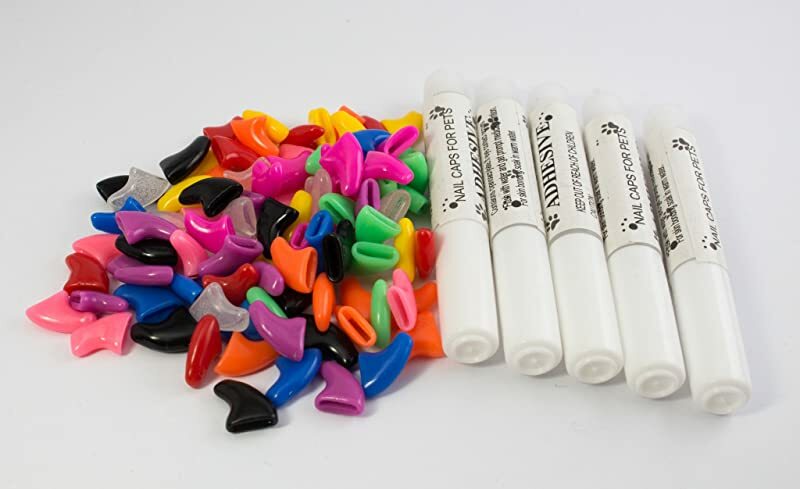 Each kit contains 40 nail caps and there are also applicator tips to help you make the sheaths stick. When getting this product, be sure to choose the right size to ensure that your cat remains comfortable while using this product. 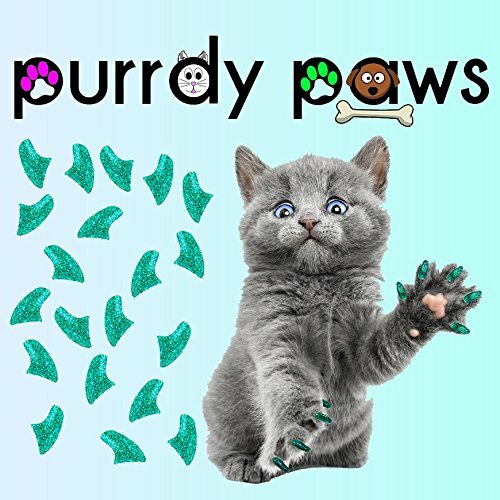 For those who are thinking that Soft Claws is the answer to their problems with kitty’s claws, here’s a more detailed guide on the best things about this brand. When it comes to any kind of equipment for kitty, you need to put yourself in mind too. Since you will be the one doing all the work, think whether something is convenient for you. One reason Soft Claws stand out is the fact that any cat owner would find this easy to use. Declawing cats used to be a trend but things are changing now. More people are starting to realize how inhumane and dangerous it can be to remove their cat’s claws. Rather than putting their beloved pets through surgery, more people opt to use nail caps to sheath their kitty’s claws. The amount of damage cats can do to your furniture and your home, in general, is enormous. 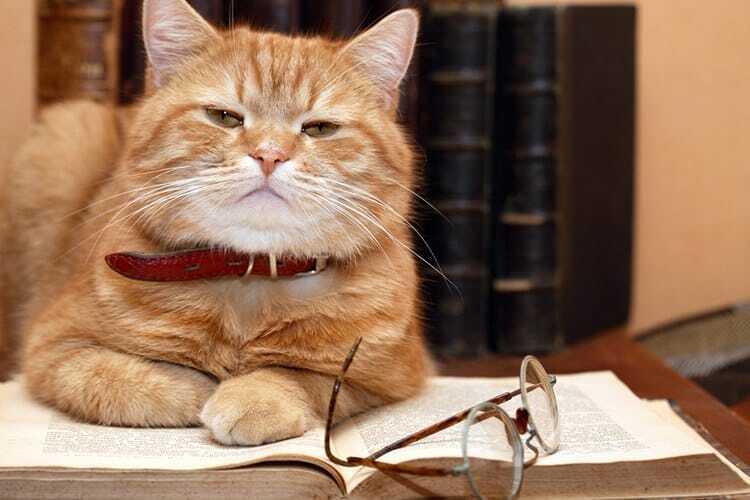 Given the circumstances, it is not surprising why many cat owners are frustrated. Thanks to these nail caps; you can minimize the amount of damage inside your home. While you cannot ensure that this product will stop your cat from using their dangerous paws, you can minimize the possibility of having your furniture ruined prematurely. Hence, this product is a worthwhile investment. 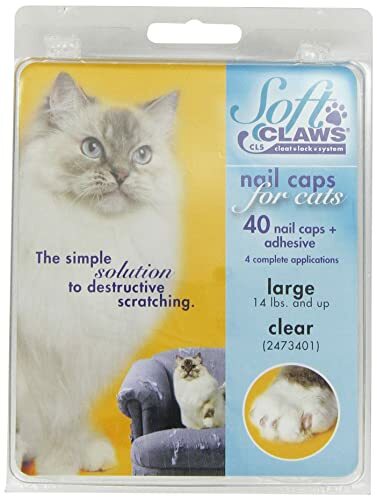 Soft Claws may be a good product and the description is quite catching too. If you have a cat that causes problems with their claws, you do not have to resort to declawing. There is a practical and easier solution that even you can do. Overall though, there are mix reviews as to whether this product is good. There are some complaints on the nail caps since these items will not stay on a cat’s claws for a long time. Others think that the nail caps can be dangerous to their pets. Out five stars, Soft Claws received four stars which is not bad when it comes to a cat product. There are more people who are thankful for this brand for helping them deal with their cat’s problems. What if Soft Claws is not an option for you? What brand would be the best choice for a nail cap? Here are some of our top picks. This claw control mechanism is made from PVC. This product is sold by set and you have a wide array of choices. This cat claw cap is also made from PVC. The material used for this nail cap is soft enough to make kitties comfortable while using this product. When it comes to choosing a product, you need to think how cats will like them too. With the idea on how cats are attracted to shiny things, this nail cap is a sure hit among felines. 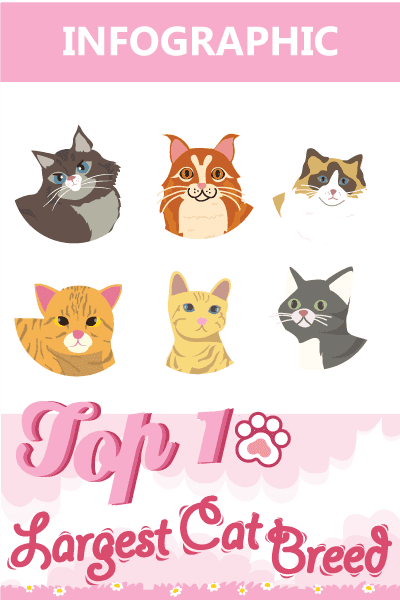 Users voted yes to Soft Claws and despite some negative comments, this remains to be a popular pick when you want to minimize damage at home due to kitty’s scratching. This is just one of those best soft claws for cats reviews and hopefully, this helped you think whether Soft Claws is a good choice or not.